Karina's Kreations: Something for Baby Stamp It My Way Challenge Card! Something for Baby Stamp It My Way Challenge Card! It's time for another stamp it my way card challenge. Make a card with these pieces and post it to my Karinas kreations facebook page! I'll enter your name into a draw for a prize! Email me at kchin2@telus.net to get access if your not already on. Here's the swap card I received. 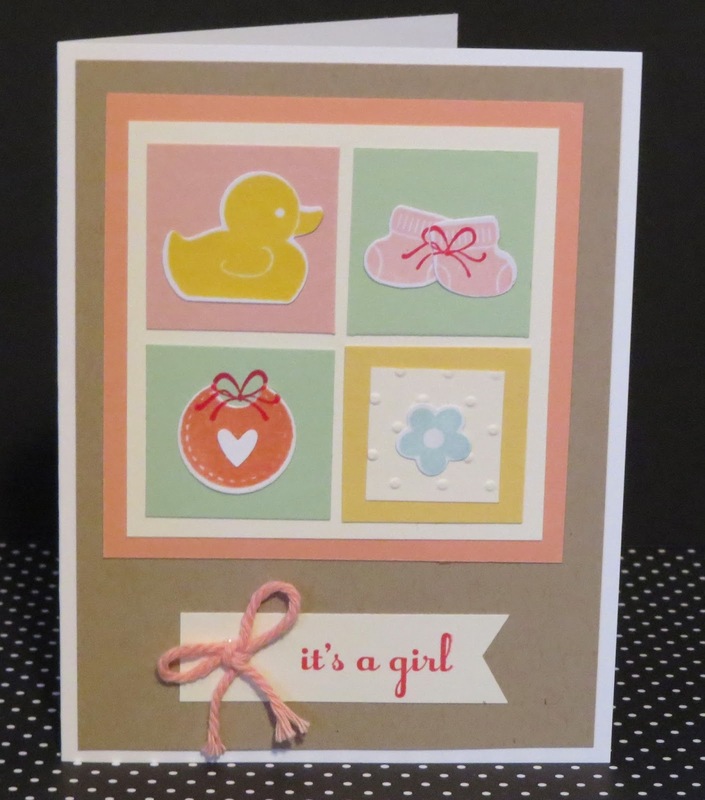 This card uses the Something for Baby stamp set and it has matching framelits called Baby's first.